It may seem strange, but a powerful type of sugar found in the cell walls of fungi, bacteria, yeasts, algae, and plants may hold the key to boosting your immune system and possibly even helping you fight cancer. Beta glucan is a natural glucose polymer that increases the immune system’s defenses by triggering a cascade of events that regulate the immune system to make it more effective. 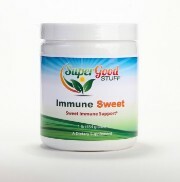 They are known to stimulate macrophages, which are powerful immune cells that attack and destroy pathogens. They also stimulate white blood cells that can take out tumors and viruses. A study by the US Department of Agriculture’s Beltsville Human Nutrition Research Center found that beta glucan extract significantly lowered the cholesterol of men and women with mildly high cholesterol. That makes beta glucan an important player in maintaining heart health. Japanese researchers at Teikyo University’s Biotechnology Research Center have also demonstrated that lentinan, a type of beta glucan has anti-tumor properties, which can be used to increase the lifespan of patients with advanced stomach, colorectal, and breast cancer.